John Flansburgh of the band They Might Be Giants shares his favorite Catskill restaurants with Tasting Table. 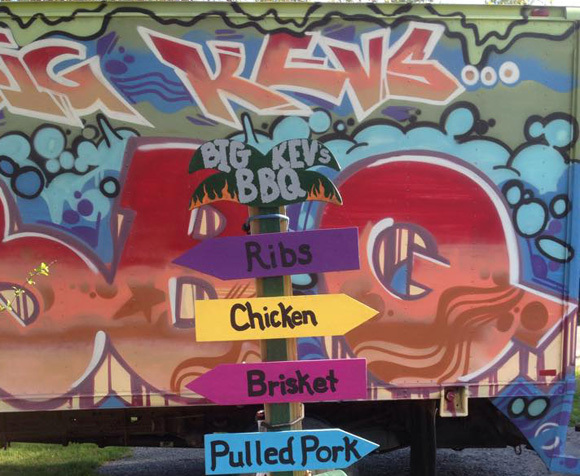 On his list: Big Kev’s BBQ in Kauneonga Lake, Henning’s Local in Cocheton and Narrowsburg’s The Heron. New York Cork Report credits Walton’s Awestruck Ciders with expanding the apple-base beverage’s fan club. Heather Ridge Farm will host a book signing with restaurateur and cookbook author George Weld on Saturday, July 11. The farm cafe’s brunch menu will feature dishes from Weld’s Williamsburg, Brooklyn, restaurant Egg. Details on the farm’s Facebook event page. There’s lots of talk about saving the bees, but Guillaume Gauthereau actually has a plan. CNN Money talks to the founder of the New York Bee Sanctuary, scheduled to open in the Catskills in 2016. Fast Company also has a story, including a map of the proposed sanctuary.